Probably keeping their options open in case they don't land their preferred RB in draft. I like Yeldon though. 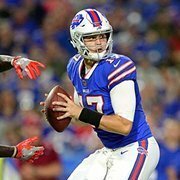 Schein: "Buffalo Bills, Cinderella team?" This is the difference between journalists such as Tyler Dunne, and your Jerry Sullivan and Bucky Gleasons of the world. Here is a guy that has spent the last few years as a beat writer for two teams for local papers. He cultivated relationships and worked his way up to where he had the resources and relationships to write an amazing piece and put himself on the national map of sports writers. His career will only take off from here. 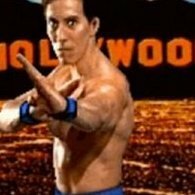 Vs. guys like Sully and Gleason who rest on their laurels and reputation for decades, piss off everyone in organizations and end up getting canned and either finding themselves out of the industry, or writing for some less than popular local paper. Photo has to be legit. It was taken weeks before the draft. Beane has confirmed that was the deal they had in place as well. Trade down to Denver for both 1's that was in place until Chubb fell to the Broncos. Plus mayfields visit was 4/9. I really thought they had Darnold and/or Mayfield ahead of Allen. It surprised me to see that Allen was their first choice. Makes me feel a whole lot better about landing him, that we didn't settle for a guy that was 2nd or 3rd down the list. Oliver might be their guy, but you never know how teams value players For all we know Oliver may be high on many boards that we as fans don't realize. The draftniks think a player may fall, but guys who get paid lots of money to make these decisions may think differently. At the end of the day, if you think a player is the next All-World, you figure out a way to get him that makes sense. 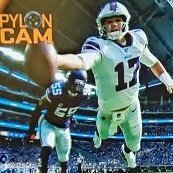 Based on their activity in FA it was almost a slam dunk that you could expect the Bills to go DL in the draft, especially with some studs dropping cuz of QB needs. Last year was the draft of the QB. This year it's all about DL. Although I thought they may stay at 9 or trade down and then take OL or TE, JW's narrative makes more sense. Beane is all about obtaining elite talent at the top of the draft. Remember, it was McD who traded down to 27 for Tre White. Beane has been all about trading up to get players on the board who are undervalued. I met Kent Hull in a hotel bar in Vegas one night. Nicest guy in the world. It's a no brainer that Bills are going RB in rounds 2-4. That's why they were comfortable signing Gore. It's also why they didn't bring in a guy like Tevin Coleman, who is 25. 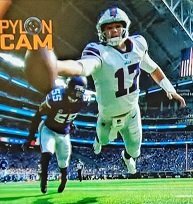 BB want's his own Thurman Thomas.